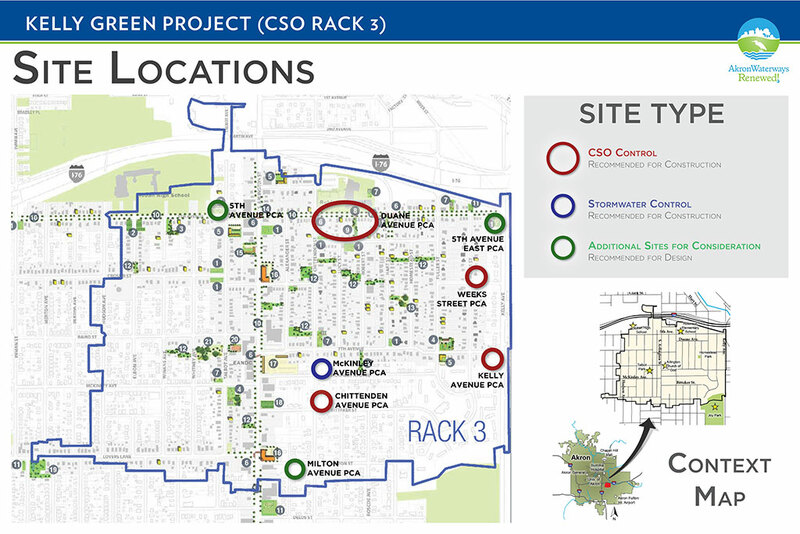 As part of the Akron Waterways Renewed Program, the Kelly Green project evaluates green infrastructure opportunities associated with the City of Akron’s Combined Sewer Overflow (CSO) long term control plan. 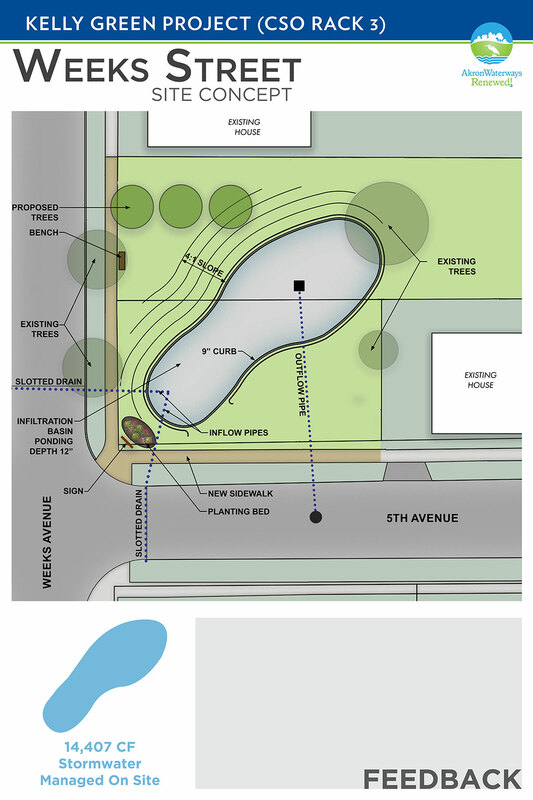 Under the management of Environmental Design Group, the project included green infrastructure design in the East Akron neighborhood to reduce combined sewer overflows using elements of green infrastructure such as bioretention, stormwater wetlands and infiltration basins. 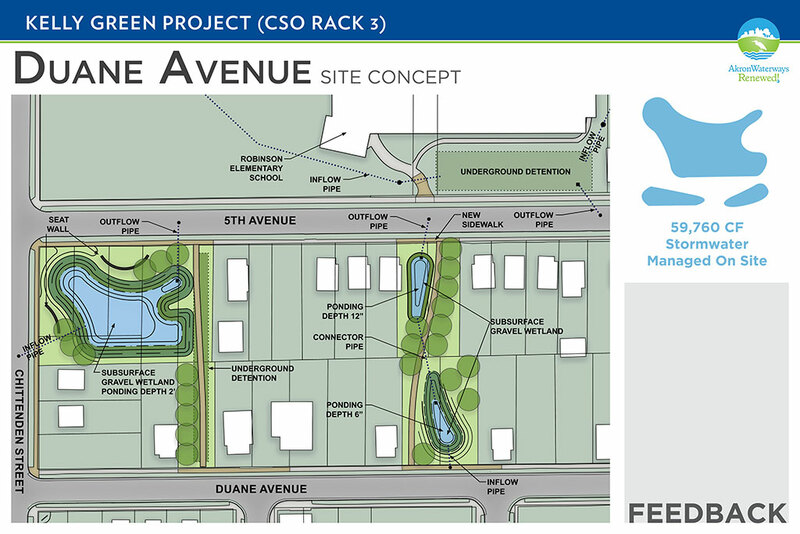 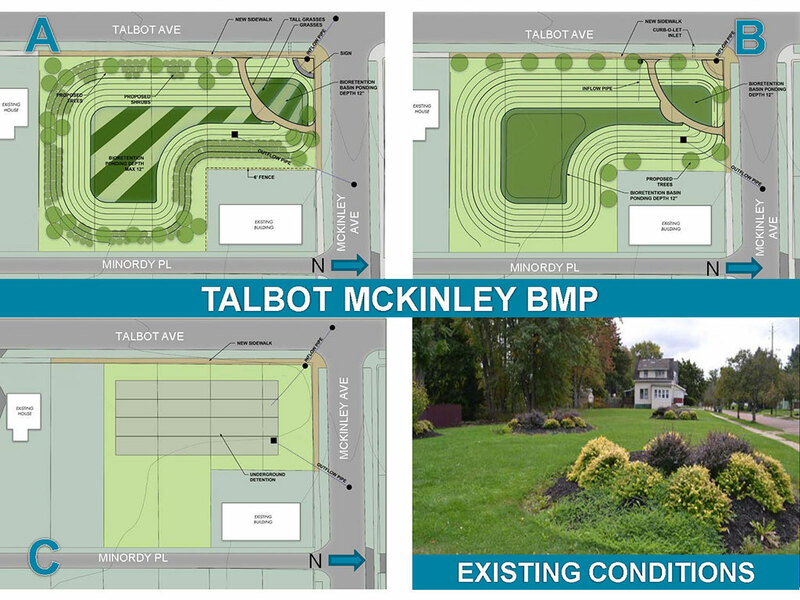 The project involves cost‑effective green infrastructure elements that are knitted into this urban neighborhood, providing co-benefits such as community gardens, redevelopment opportunities, symbiotic neighborhood programming and, most importantly, maintainable projects.